KellyOCG is a global provider of workforce strategy, solutions, and operations with expertise in every aspect of the talent supply chain. They are passionate about connecting the right people, in the right time and at the right place. Core solutions include Advisory Services, CWO, RPO, Managed Services (BPO), and Career Transition. Entering the year 2018 with ambitions and visions of improvement, KellyOCG began piloting jobpal’s technology to assist organizations with their recruiting process. KellyOCG’s strategic objective is to augment and improve their diverse suite of innovative talent solutions and processes. So far, this pilot has sped up candidate interactions while reducing time-to-hire and overall costs. With jobpal, KellyOCG can enable a recruiting process for talents and business 24 hours/7 days a week with instant, relevant responses by automating activities in the recruiting process. KellyOCG is piloting jobpal's chatbots in its digital recruiting process. In this pilot phase, KellyOCG has found that chatbots augment the recruiter throughout the entire hiring process, speeding up interactions and reducing time-to-hire and overall costs. For employers and recruiters, jobpal’s objective is for the chatbots to handle more of the candidate screening and selection process. Recruiters like the chatbots a lot as they only automate a small part of their jobs, but it’s significant enough to free up more time for them to talk with candidates. KellyOCG now can take advantages of the technology as it enhances the process for talents and ensures more time with each candidate in personal. Not only KellyOCG but also candidates benefit from this technology; it can help them from the beginning of the application process and into onboarding at a new job. 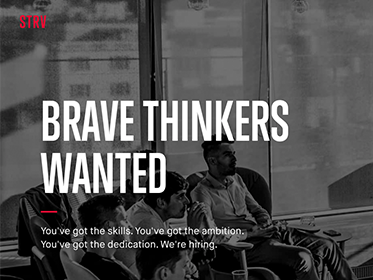 The cooperation with jobpal is the most efficient way to improve their talent supply chain and to remain the go-to-agent for the world’s top talent. “The reason we chose jobpal as our chatbot vendor is because especially in such a new field, we need a partner that can adjust and work with our evolving requirements.”, said Tim Pröhm. 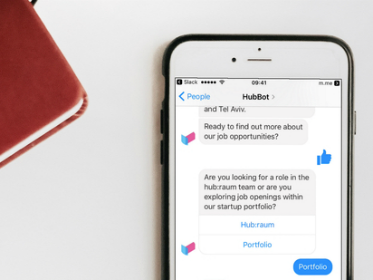 For jobpal’s co-founder Luc Dudler, the fact that KellyOCG’s core business is recruiting was an exciting collaboration too, as they approach the chatbot development from a different angle than a company that only wants a chatbot for its talent engagement. Looking at the company vision of KellyOCG, people are the most important part of what they do: understanding how talent works to know what it takes to engage them wisely. Peering into the near future, a chatbot will ideally be able to suggest the three top candidates for a position and provide key information about each one. Then the recruiter or hiring manager can follow-up and make the final selection. This would be an enormous change for KellyOCG and the whole recruiting field. This was an excerpt from an interview with Tim Pröhm, Senior Director of the RPO Center of Excellence at KellyOCG, and Luc Dudler, founder of jobpal. Ready to enhance your recruitment process? We achieved much-improved candidate experience scores, as well as increase applicant quality and responsiveness to out-of-hours inquiries. When it comes to the process of recruitment and hiring, there are many tasks and processes that can be done more efficiently and effectively by automating repetitive tasks with technology. Three months ago, STRV started to implement a chatbot with jobpal.